Introducing new interns into any work environment is an adjustment process. In order for everything to run smoothly, a successful summer season requires proper planning and cooperation. As such, the first step in preparing the office for the incoming interns should start with a team meeting. Aim to keep the meeting brief, yet informative. A simple 5-minute discussion can make a big difference for your employees. The goal here is to keep everyone in the loop. Try to cover the basics, such as: when the interns will be arriving, how many there will be, what roles they will play, etc. If your company is offering a mentorship program, go over the applicant profiles and match them with the best-fit employees, based upon shared interests, work background, and potential compatibility. After the short briefing, leave the floor open for questions, comments, and concerns. You want your employees to have as much clarity as possible. As a closing thought, remind your employees to be constructive, supportive, and positive. Naturally, the interns are going to be asking A LOT of questions. Therefore, encourage your employees to embrace this new wave of energy and curiosity, and use it to foster a thriving work environment over these next few months. The next order of business is to verify that the internship program is in full compliancy with the law. Is your company offering an unpaid internship? If so, you might want to look into the Fair Labors Standard Act (FLSA), to make sure you aren't breaking any rules. According to the U.S. Department of Labor Wage and Hour Division, under the FLSA, courts use a "primary beneficiary test" to determine if an intern counts as an employee. The intern is clearly informed by the employer that the internship is an unpaid position. The internship provides training that would be given similarly in an education environment. The internship is linked to the intern's formal education program through coursework or academic credit. The internship supports the intern's academic commitments and appropriately fits into the academic calendar. The internship provides beneficial education for the intern. The intern's work does not displace paid employees. The intern is not entitled to a paid position at the end of the internship. Overall, these rules are fair. They prevent worker exploitation, and promote a positive internship experience for everyone. If it turns out your internship program fails to meet any of the 7 requirements, under the FLSA, you are required by law to pay your interns minimum wage and overtime pay. So keep that in mind. 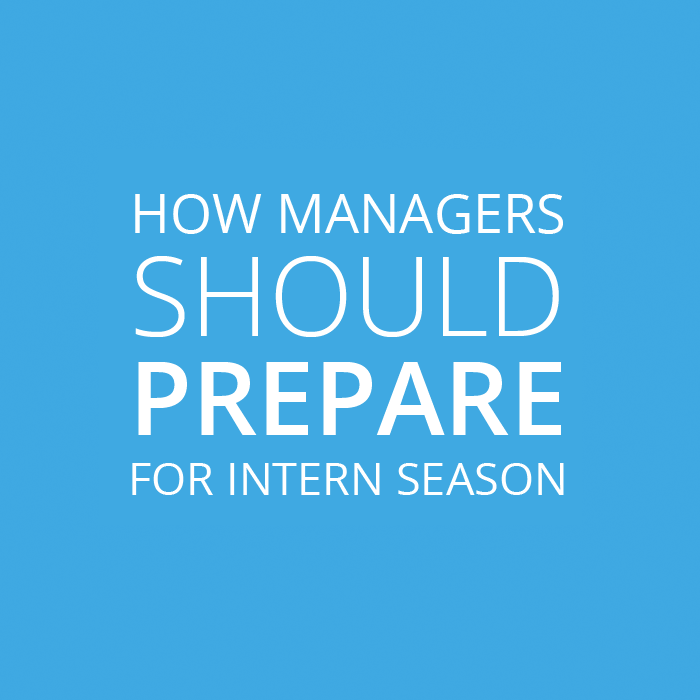 If your business has a paid internship program, like most do, start planning ahead for their time management. Consider adding them into your time and attendance system now, especially if using an online time clock, as to be ready for when they arrive. You can never be too prepared. Right now is the perfect time to set your summer goals. If you haven't done so already, I highly recommend you make a list of things you'd like the interns to accomplish for your business. Remember, these students and recent grads have completely grown up with technology and the Internet, so definitely play to their strengths. As discussed in "5 Ways Your Business can Get Ahead this Summer", your website is an excellent starting point for getting ahead this summer. Therefore, some engaging tasks may include: freshening up all platforms of social media, writing a variety of interesting blog posts, making videos and tutorials, taking pictures, and launching ad-campaigns targeting younger audiences. These days, content creation is key to any successful company, and it happens to be the easiest (and fun) way for interns to make a difference. In addition to your list of goals, make sure you have all the necessary materials for welcoming the new interns. Consider putting together a simple FAQ sheet, both a hardcopy and online, as to alleviate any stress during the first week. Include useful information, such as: the parking situation, lunch and break schedules, how to clock in/out, where the bathrooms are, etc. Essentially anything that could be helpful for someone brand new to the company. You've been planning and preparing, and now it's finally time to say hello. Give the new interns a warm welcome, and treat them as guests in your own home. First impressions are meaningful; especially when you consider some of these interns may join your company in the future. Typically, businesses will hold orientations for newcomers, which allow interns to tour the facility, make contacts, ask questions, etc. The goal is to make this transitional period as relaxed and comfortable as possible, for everyone. And REMEMBER, you were once in their shoes. Therefore, as the doors swing open and the interns come pouring in during these next few weeks, think back to the thrill and excitement of entering a new world, and make this a positive and productive summer!